There appears to be a changing of the fantasy guard in the Carolina Panthers receiving corps as of Week 11. Former 2018 NFL Draft first-round selection, WR D.J. Moore, may have officially dethroned Carolina WR Devin Funchess as the new No. 1 option for quarterback Cam Newton and the Panthers passing attack. DJ Moore is the Panthers WR1 but this isn’t a new thing. Over the past three weeks, he’d led CAR WRs in targets & receptions and has a 10+ fantasy point lead over Devin Funchess. Moore had a career game Sunday afternoon against the Detroit Lions, putting up some monstrous numbers. Moore hauled in seven receptions on eight total targets for 157 receiving yards and one touchdown, headlined by an 82-yard grab. 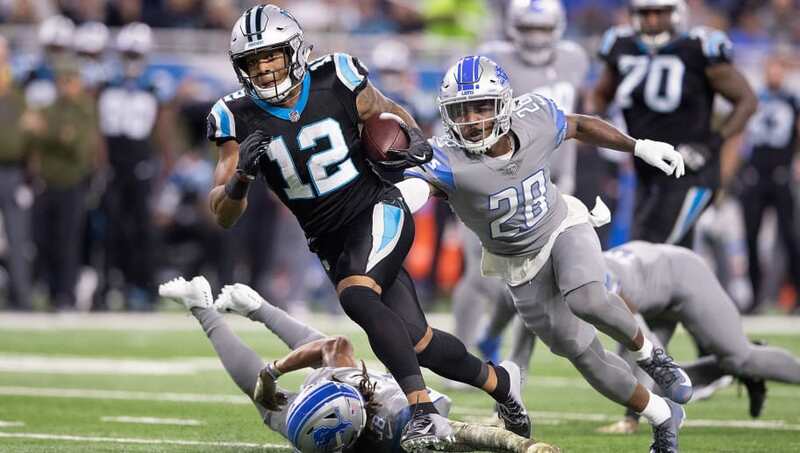 Meanwhile, the four-year veteran WR Funchess quietly limped to just two total receptions for 39 yards and no scores on the exact same number of looks as Moore (eight targets). Panthers lose 20-19. Devin Funchess dropped a lot of passes. Graham Gano missed two kicks. Cam missed a 2-pt conversion throw. Panthers could be three down in the South by the end of the day. It doesn't take an NFL analyst to notice that sort of disparity in production may be a call for a new look in Carolina going forward.